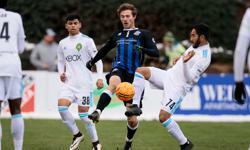 The Switchbacks played Seattle Sounders 2 to a scoreless draw at Weidner Field to give them their first draw of the season. Looking to bounce back from Wednesday's loss to Sacramento, the Switchbacks returned home to Weidner Field on a chilly night for their third game in eight days. The Switchbacks got the first opportunity of the match just three minutes in as Luke Vercollone flicked a ball onto Shane Malcolm who saw his shot blocked. The Switchbacks continued to have the upper hand for much of the first half outshooting Seattle 6 to nothing. Seattle had a few late opportunities but the two sides would head into the locker rooms scoreless. Intensity started to pick up as the second half progress and became a little chippy. About a minute after the Switchbacks came up with a solid defensive effort, Saari was sent off after receiving his second yellow card of the match in the 59th minute. The Switchbacks man advantage wouldn't last long as Luke Vercollone was issued his second yellow card in the 63rd minute, putting the game at 10-a-side. 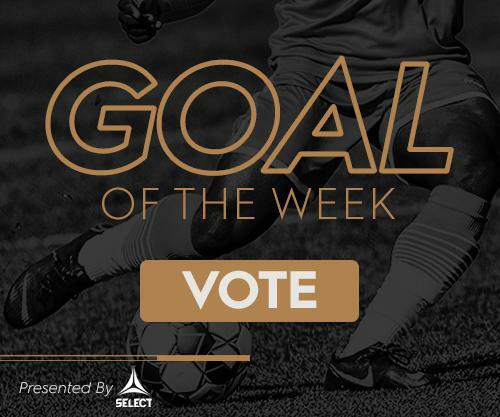 Seattle would end up outshooting the Switchbacks in the second half 10 to 3, but their lone shot on target was saved by Pouaty in the 72nd minute. Niki Jackson and Marty Maybin would come on as second-half subs, but despite their best efforts, the Switchbacks would fail to score. However, Moise Pouaty would earn his second clean sheet of the season as the match finished scoreless. "Once again, I thought we did enough to win," said Head Coach Steve Trittschuh. "It’s just about finding that aggressive player that wants to score a goal. We created a lot of chances again, defensively we were ok. We gave up too many chances. We need to find some players that want to find the net." "I think there were definitely some positives to take from the game," said Man of the Match Jordan Schweitzer. "However, we had enough chances but on another day I think we could have gotten the win." The Switchbacks will head back to California to face 2nd place Orange County before returning home to face Reno 1868 FC on May 5th at 6:00 PM for Cinco de Mayo. The first 500 fans in attendance will receive a plush seat cushions courtesy of Colorado Technical University. Tickets start at just $12 and are available here. Fans 21+ can get $1 beer the first 30 minutes when gates open at 5:00 PM.